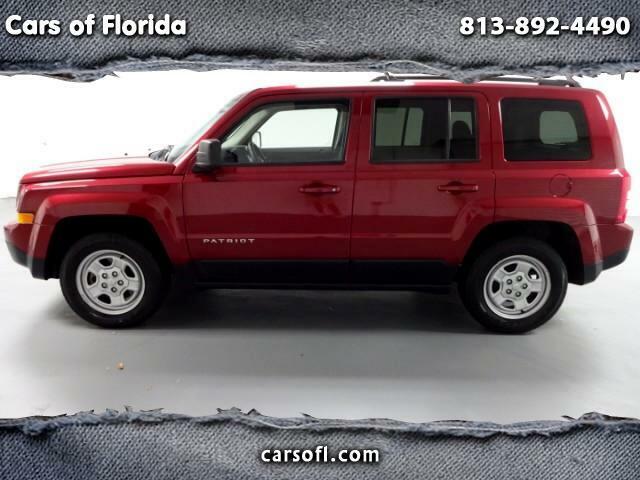 Cars of Florida is proud to announce this 2014 Jeep Patriot Sport with 108,000 miles. This vehicle is in top tier condition and runs like brand new. Exterior and interior reveal a non smoking and no pet odor environment. Looks like the day it rolled off the showroom in 2014! Full mechanical inspection completed. All belts, hoses and fluid levels are functioning excellent with no leaks or drips. Absolutely no dings or dents on the exterior. Feel free to bring your mechanic! Rear seats and trunk look untouched. This is the cleanest Patriot within a 250 mile radius hands down. Tons of storage in this one! Makes for a great first car! Competitively priced to move. **Vehicle subject to sales tax, tag & title processing fee & dealer service fee** All Vehicles sold AS-IS!